My favorite cream foundation has gone MIA. The Victoria Jackson No Makeup Makeup. I know it was fairly obscure but I loved that foundation! 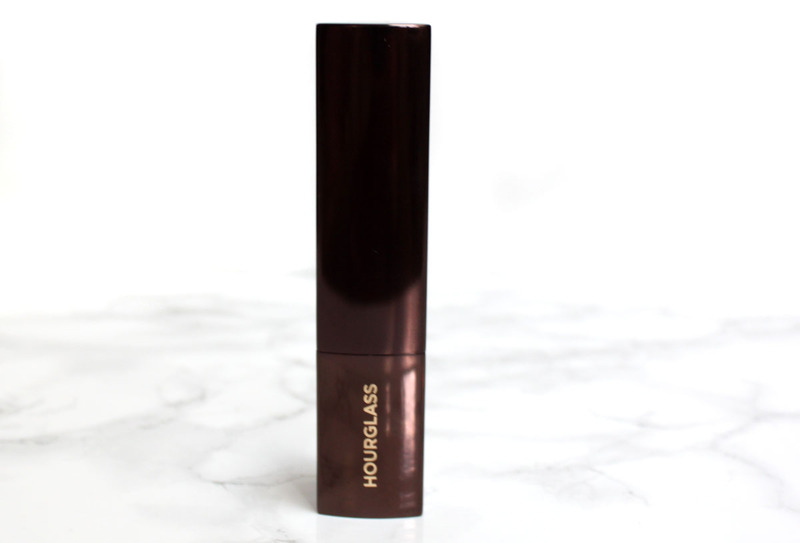 My search for a new cream foundaton led me to the ever popular and talked about Hourglass Vanish Seamless Foundation Stick. This foundation has a lot of hype surrounding it in internet-beauty world. I tend to prefer the quick controlled application of cream foundations so I was excited to try it out! 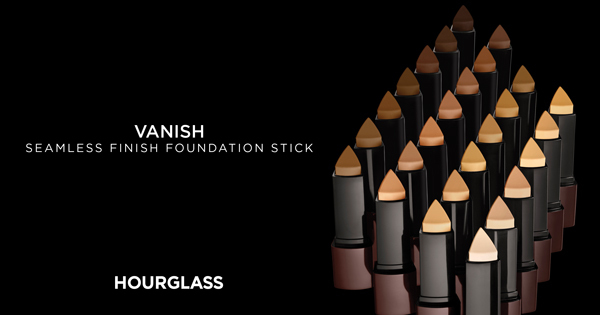 A foundation and concealer in one, Vanish Seamless Finish Foundation Stick’s concentrated formula is infused with double the amount of pigment than traditional foundations for instant full coverage in one application. The long-wearing, waterproof formula provides 12-hour coverage, and the innovative formula adjusts to your body temperature to effortlessly blend into the skin. Encased in a unique triangular bullet for precise application along the contours of the face, it can be used to contour and highlight the complexion. It features an array of shades and is specifically designed to be used with the Vanish Foundation Brush for the most seamless finish. • Formed in a unique triangular bullet for precision application along the contours of the face. • Designed specifically to be used with the Vanish Foundation Brush for the most seamless finish. • Available in 26 shades to perfectly match every skin tone. This foundation is intensely pigmented and full coverage. I dabbed this once on my beauty blender and was able to do my whole face with it. I couldn't imagine actually painting stripes of this on to my face. It would be extremely heavy and excessive. I thought $46 was pricey for the amount you get, but considering the small amount I needed a little will go a long way. This foundation applies beautifully, it really does warm with your body heat to meld in to the skin. It applied well with both my beauty blender and with a brush, but I do prefer the beauty blender. Vanilla was the shade that I chose for my pale, cool-tone skin. However, it was much too yellow. All of the light shades seemed to lean yellow, leaving us cool-pink skintones to look like we can't match our foundation to our faces. 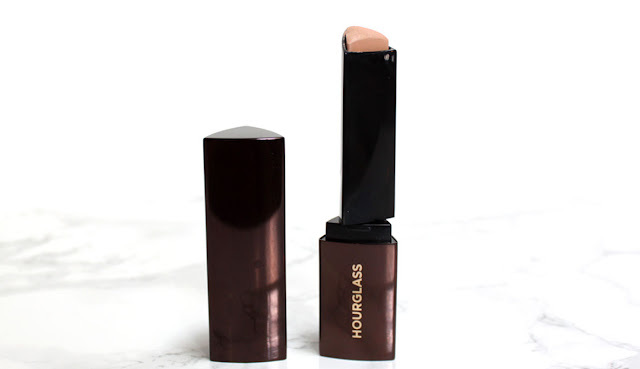 Hourglass has done an amazing job on making multiple shades of foundation with this line though. There isn't just one light or dark shade, but multiple of each. This does make it a little difficult to figure out what shade you will be online. I would reccomend heading to Sephora to get a color match. I bought it online and wish I would have went in to SEPHORA to test a few different shades first. The results? Even lightly applied it looked and felt extremely heavy on. The chalky heaviness emphasized every one of my pores and fine lines. 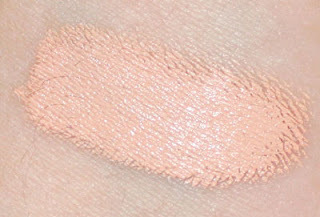 Those with dry skin beware, for a cream foundation this is terribly dry looking. I will say it lasted througout the day with out wearing off or separating on the skin so there was one positive. For a full coverage foundation this is one, but it's not the best. I personally do not like to wear that heavy of face makeup, leave that for people who only do makeup for instagram. That's just not the kind of makeup most people want to wear in real life. My skin was suffocating in that makeup mask. My favorite cream foundations are still the professional brands, look to Cinema Secrets, Graftobian, or TEMPTU for amazing full coverage cream foundations that still look natural and feel lightweight on the skin. This one goes in the different strokes for different folks category. For me Hourglass Vanish Foundation goes in to the Returns box. I'll stick with their ambient powders and blushes from now on.